High Times Holding Corp. is offering $3 million cash due at closing, $4 million in High Times common stock, and two milestone payments for the show in 2020 and 2021. The transaction is expected to close in Q1 of 2019. “This acquisition will provide an additional international platform for our customers looking for additional international exposure opportunities,” stated High Times CEO Adam Levin. High Times owns a number of festivals, such as the Cannabis Cup and Reggae On The River, as well as industry events like the High Times Business Expo. The Cannabis Cup was High Times' first push into Europe (with an event in Amsterdam); Spannabis is the second. Las t year, High Times acquired Buyer’s Industry Guide and its flagship event, "The BIG Show." High Times is in the midst of a Regulation A+ crowdfunding campaign, which has raised millions of dollars from over 17,000 investors, according to the company. 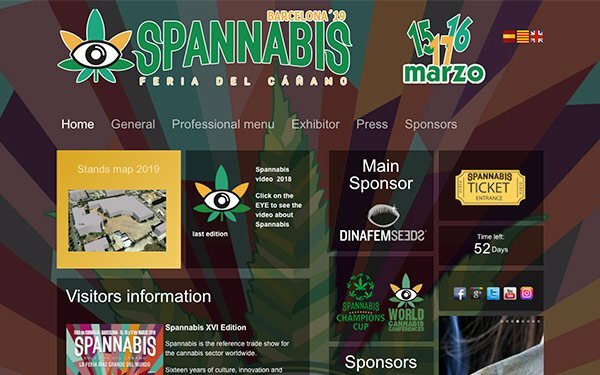 Billed as “the European Union’s largest cannabis industry event,” the Spannabis trade show and research conference plans to return to Barcelona for its 16th annual event this March. It aims to attract tens of thousands of international consumers and industry professionals each year. Last year, High Times purchased three publications in addition to Buyer’s Industry Guide: Seattle-based Dope magazine, Culture magazine and Green Rush Daily.